STRIBILD is 4 medicines in 1 pill. It is a combination of elvitegravir, cobicistat, emtricitabine, and tenofovir disoproxil fumarate. Ask your healthcare provider if STRIBILD is right for you. 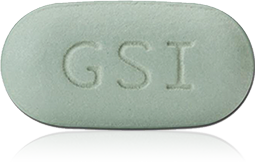 STRIBILD, the STRIBILD Logo, DAILY CHARGE, the DAILY CHARGE Logo, GSI, GILEAD, and the GILEAD Logo are trademarks of Gilead Sciences, Inc., or its related companies.